311 East 75th Street Owners Corp. 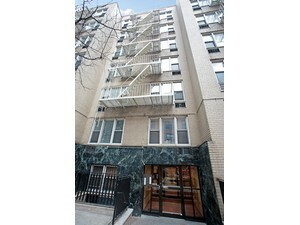 This coop located in Lenox Hill consists of 64 units and 6 stories. Credit Application for each purchaser named on the Contract of Sale. Copy of the fully executed Contract of Sale. Copy of the Loan Commitment letter if purchaser is obtaining financing. Two (2) business and two (2) personal letters of reference. Married couples may provide combined letters. No letters from family members. Letter of Employment from the Human Resources Manager or Personnel Director or payroll department stating the length of employment, title and salary of each applicant. Letter from current landlord on letterhead of Management Company stating length of tenancy and amount of rent paid or completion of Rental Reference form contained in this application package. Copy of two most recent pay-stubs, (if applicable); if self-employed, upload a letter from your accountant stating annual income and net worth. Copy of most recent checking/savings/money market/investment/retirement statements, circle or highlight balances. Two years' full tax returns, signed by both the tax preparer and the applicants including copies of W-2 or 1099's and all schedules. Please complete and sign the attached forms. Copy of current Driver's License ( Picture I.D.) and Social Security Card. FULLY EXECUTED SUBLEASE AGREEMENT together with required LEAD-BASED PAINT RIDER, according to the New York State Law. The sublease should include the following language "This sublease is subject to the Board of Directors approval and subordinate to the terms of the Proprietary Lease." A letter of Employment from the Human Resources Manager or Personnel Director on the employer's letterhead stating the length of employment, title and salary of the applicant. Copies of most recent pay-stub, copy of current W-2 form and income tax. Two business and two personal written letters of reference. Please sign Sublet Policy Acknowledgment. Forms to Sublease Application (enclosed).